“Kudos to Allen for finding his nemesis. And I love that his son Max was helping him all along the way! What a lesson for him! “Just read Whipping Boy out loud to my wife. We both cried. So often life is stranger than fiction. I applaud your relentless research and the bravery it took to confront you childhood nemesis. “Bullies and other evil doers should learn how apparently small deeds can torment others for a life time. A wonderful and engaging read that redresses that injustice. “I was in a class with a boy who taunted me, tripped me, flicked my ear when the teacher had her back turned. I never fought back. I never have forgotten that malignant, poisonous welcome to 7th grade. I was never the same child, student, or person after that. Thanks for writing your story. Plenty of us understand very well how if felt and how it still feels. “There’s nothing better than getting back at bullies by exposing them in writing. I’d love to do that, too. Are you listening, Pudgy Romano? ARE YOU LISTENING? “Great story, and a great way of getting over the trauma of bullying. “I think most of us can relate to a bullying experience from somewhere in our past, and how it has become a fabric of our being. In confronting [your] bully you have seemingly conquered your demons. Thanks for putting your pain into prose. “Great meditation on time and healing and inner peace. “I was bullied — not only at school, but at home. My father was an alcoholic and rageaholic. My mother committed suicide. To complicate matters, I realized at ten that I was (am) gay. I denied it until 1989, when I made the decision to become an authentic person. I’ve never looked back.... Still, some pain you never fully forget, which is why I applaud you for pursuing your demon. “Whipping Boy shows us we are strengthened by adversity and by the process of finding meaning in our suffering. “After reading Whipping Boy realized I wasn’t alone. It released a lot of emotions. I firmly believe that bullying—at least at that time—was endemic to the essence of boarding school. The system almost encouraged it, and it was a contagion. One bully lead to another. “Whipping Boy brought up memories long held in check. In the early 1950’s I attended a military academy that looked the other way at hazing. I was small, timid, and had a Deep South drawl and manner—all attributes perfect for generating scorn. The academy prepared me to live in a world populated more by savages than sympathetic souls.... Whipping Boy has given me a greater sense of compassion. “Allen, I’m sitting on a bus commuting to my job in NYC, shattered by your Cesar story. 50 years into a search for a middle school teacher whose mastery of psychological taunting and abuse -- I learned years later -- shattered the esteem of generations of kids. I simply had to tell you that, from the first paragraph of ‘Whipping Boy,’ I marveled at the discovery of just how harrowing and powerful a writer can be when he is disciplined enough to let the power emerge naturally in matter of fact prose. Thank you. “One of the reasons I left boarding school was because I was hazed repeatedly. I shared a house with a guy who was later expelled for literally opening another student’s skull. I will open my veins before I ever send my kids to boarding school. “Allen’s message is correct in that we should not let the baggage of our youth impede our adulthood. It’s cathartic to see former teenage tormentors as paunchy middle-aged men, to see people who loomed large and ageless reduced to ordinary people. “Wow, this story reads like a history of the world. Isn’t every cruel act in the world justified by earlier trauma of the bully? I can’t help wondering if Cesar’s boarding school, with all its aristocrats, trained him to be part of a fake royal scam. “Confession: I was a bully. I remember calling people ‘funny’ names, which was probably anything but funny to the people I made fun of. I sincerely apologize to everyone I made unhappy and uncomfortable with my emotional abuse. “Wow! I think the author’s wife and kid were real heroes, too. This story is a triumph for the writer and his family. “Fascinating that the boy bully later blames other people and exterior forces. It’s remarkable that the author managed to elicit an apology, even a qualified one. “I think Cesar apologized because he was afraid of his victim’s power. It wasn’t remorse. It was a studied and skilled effort to diffuse a threat. “I found particularly intriguing the description of the real-life swindlers. How do these people live with their duplicity? “Bullies and con men often convince themselves that what they do is right. In the case of con men, the most successful convince themselves that their scheme is legit. “A masterful exploration and description how our brain constructs memory and creates meaning. “Amazing how many of us have a Cesar in our lives. But here’s the thing: I can’t help but thinking that for most of us, they were motivators, albeit cruel ones. Looking back has helped, especially when I see that many of them are still Cesars. “I intermittently search for a kid from my Scout troop. He never bullied me—I was too big, and besides he preferred torturing small animals. He’d been abused, and was deeply disturbed. I wonder if he ever managed to avert the tragedy that seemed to be his destiny. I’d like to know that he, and those like him, are not beyond redemption. “I was bullied all through elementary school by one kid and his occasional cronies. It went on every day for years. I looked him up recently and discovered that he’d been arrested repeatedly for theft, and had been sent to jail (ten years) for aggravated bank robbery. It didn’t surprise me one bit. “I don’t actually believe in the special hell; but bullies would be first in line for tickets. “Schoolyard bullies grow up to be workplace bullies. “... like nothing I’ve ever read, an investigative memoir that’s honest, funny, sad, and edge-of-the-chair suspenseful. I loved it. “...wonderfully conceived and wonderfully executed. “Kurzweil takes readers on a suspenseful and thrilling ride. “...an entertaining, sharply reported picaresque...a crime saga that’s ripe with hilarious humbuggery. “Full of intrigue and suspense, the story follows the bizarre twists and turns of one man’s journey to find and confront his childhood tormentor—ready-made for a film treatment. “… a fascinating, multi-pronged morality tale about victimhood, skewed perception and the liberation of facing your demons. “A captivating hybrid of investigative journalism and memoir…. Kurzweil is not simply settling a private score; he’s standing up for anyone who has ever been bullied. 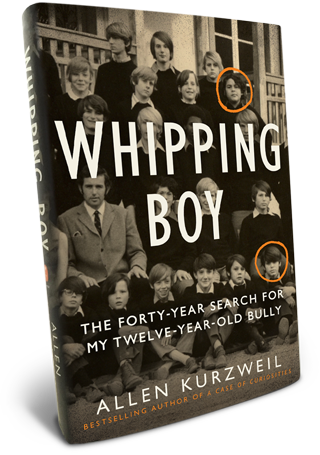 “… a memoir that reads like a thriller as the author circles the globe to find the man who made his boarding school days a living hell. “…pleasure-packed…[makes] the wily con artists in American Hustle look stuffy by comparison. 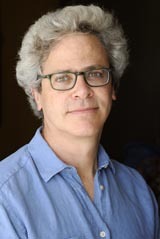 “Allen Kurzweil has made a career as an author, but his latest work is much more than a book. It’s the ultimate therapy session, a confrontation of childhood demons 40 years in the making.